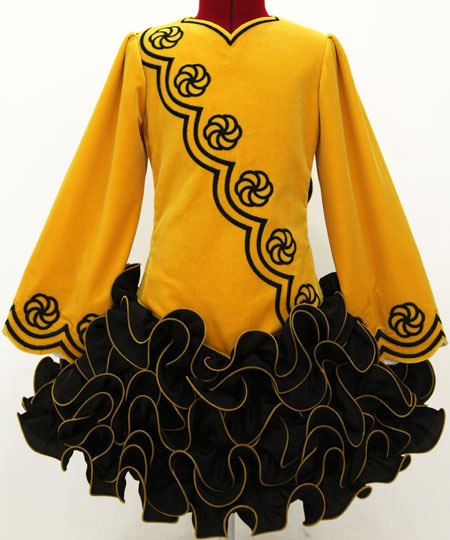 Centre front neck to dropped waist: 17½"
Centre back dropped waist to hem: 11"
Vibrant sunflower yellow lightweight velvet bodice and sleeves, with black asymmetrical floral embroidery design. 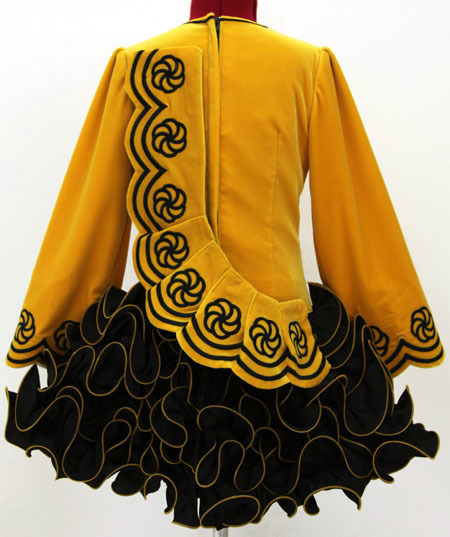 Adorable cupcake skirt ruffles constructed from black twinkle satin with yellow trim. Matching yellow velvet shawl with black embroidery. Black and white gingham skirt lining.